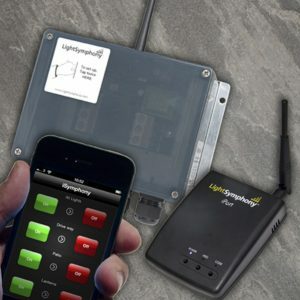 Light Symphony are a range of versatile and cost-saving wireless remote control systems for outdoor lighting and other outdoor electrical devices, such as water features. 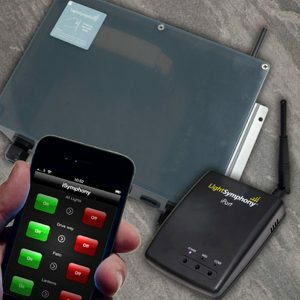 These starter kits offer a simple way to get started with Light Symphony’s range of versatile and cost-saving wireless remote control systems for garden lighting and other outdoor electrical devices, such as water features. Every system is compatible with all lighting types and have rugged IP66/68 housings. 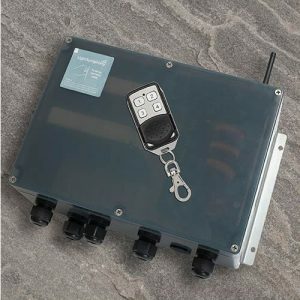 The Keyfobs have a powerful range of 350m (line of sight) and all the lighting controllers offer the option of smooth on/off. 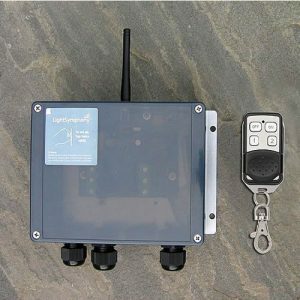 The range is also extendable with the use of repeaters. 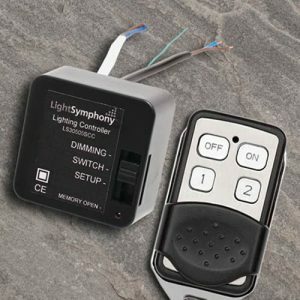 Expand the kits by adding more lighting controllers, transmitters or any other Light Symphony products available such as driveway sensors, dusk/dawn timers, PIRs etc. 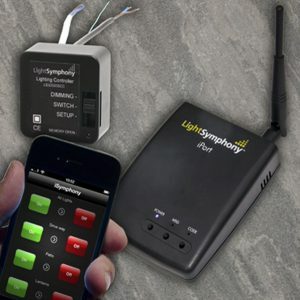 To help with remote control of your Garden Lighting, Lumena stock ‘Light Symphony’. 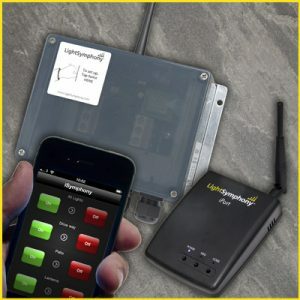 Each kit includes a Lighting Controller plus one transmitter, like a keyfob or remote.The iSymphony iPhone Starter Kit also comprises of an iPort for interface to iPhone and Android.